Very quiet location. The building itself is very nice. The staff is friendly and helpful. The beds are comfortable. The apartments seems to be newly renovated. Not in the very centre but easily reachable by bus or a 30-minute walk. 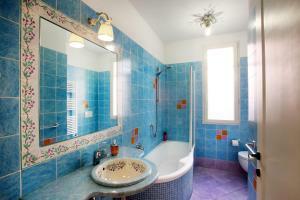 Villa Lucrezia is very well maintained,spacious,clean apartment. A cozy apartment with good furniture, independent air conditioning/heating system in each room & a well equipped kitchen with all necessary items required for a family to cook and eat. Spacious bathroom with all the essentials. 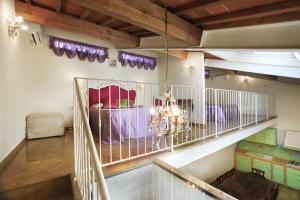 A very nice place for a family to be in Florence during the stay. Very friendly staff. We got many tips & information about local travel, Restuarants and Grocery outlets. Bus stop and supermarket are near by within 10 mins of walk. 20 mins bus ride will take you into the city center.Few good local restaurants are near by too. The property is away from the hustle and bustle of the town so that you have a very quiet stay and can relax. Ivan, who welcomed us, helped us with hassle free check in. He is a thorough gentleman with lot of patience. He answered all our queries with a smiling face and assisted with all that we need. Good price, Good locations, the reception Guy Ivan, was so helpful, he answer all questions, the transportation to use, the places to visit, the restaurants and the supermarket close to hotel.....Ivan was Great. Very friendly staff. An early check in was organized without any hassle. Clean and roomy apartments. Quite well equipped kitchen. Bus stop and supermarket right around the corner. Very Good Location.Good for family travelers.Excellent customer service.clean and comfortable.near bus stops to the city.very friendly and helpful staff most especially the Filipino staff. Great aparthotel! We had two king beds, even though the offer said there’s only one. Maybe we got an upgrade, but we were very happy with that. Very nice kitchen facility, we enjoyed fresh espresso every morning. Everything was very well organized. The Villa offers self check in which is very convenient for travelers at obscure times. Very smart idea. And the staff was easy to communicate with in advance. We had a two person apartment on the ground floor, and the space was exceptional! Comfortable bed and ample room for relaxing, cooking. More than enough space. The value far surpassed the price we paid! Great value with private parking for additional cost. 1 bedroom apartment with A/C and heater. 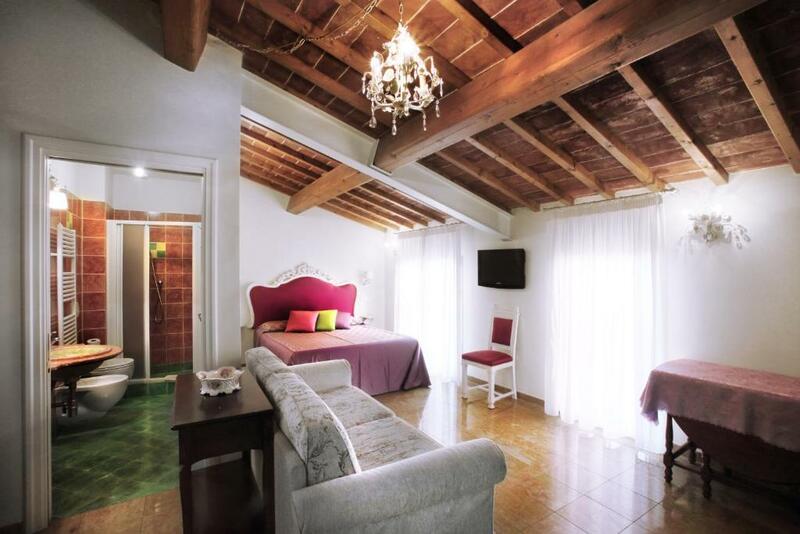 Lock in a great price for Villa Lucrezia – rated 8.5 by recent guests! Villa Lucrezia is set in a quiet area of Florence, with excellent public transport links to the Duomo and historic center. It offers private parking, bike rental, and free Wi-Fi. Busses leave from right outside Lucrezia Villa and connect you to central Florence and Santa Maria Novella Station in 10 minutes. You have a great choice of bars, shops, and restaurants in the neighborhood. Accommodations here is modern and spacious, with wood ceilings and a unique design. The apartments come with a well-equipped kitchen. Bed linen and bath towels are included. 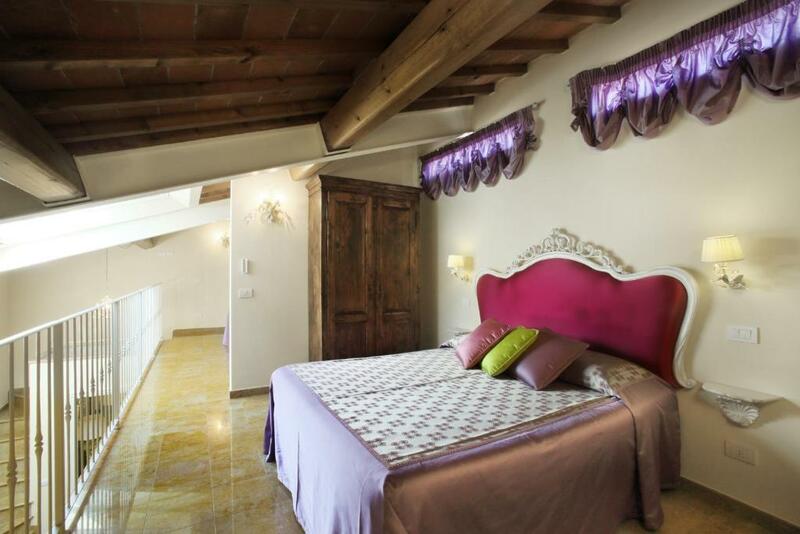 When would you like to stay at Villa Lucrezia? 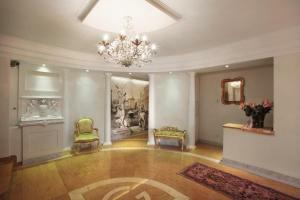 This elegant apartment has antique furniture, an orthopedic bed and a kitchenette. Features a double bedroom and a lounge with sofa bed. Features a double bedroom and a lounge with double sofa bed. Features a triple bedroom and a lounge with a double sofa bed. This apartment is on 2 levels and has 2 bedrooms on the top floor in the attic. Features 2 bedrooms and a kitchenette, equipped with a microwave. 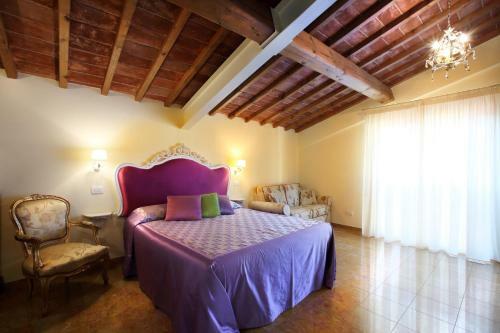 Villa Lucrezia is composed of apartments from 1 to 7 people. 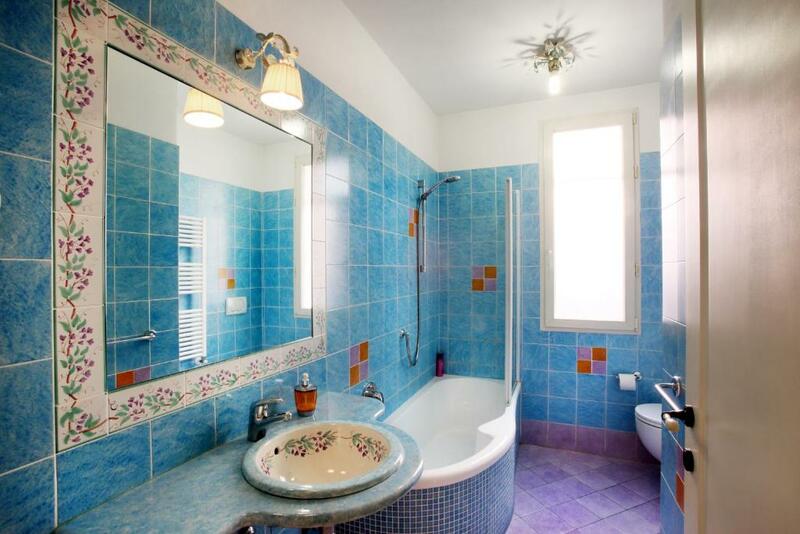 each apartment has a room, kitchen and private bathroom. 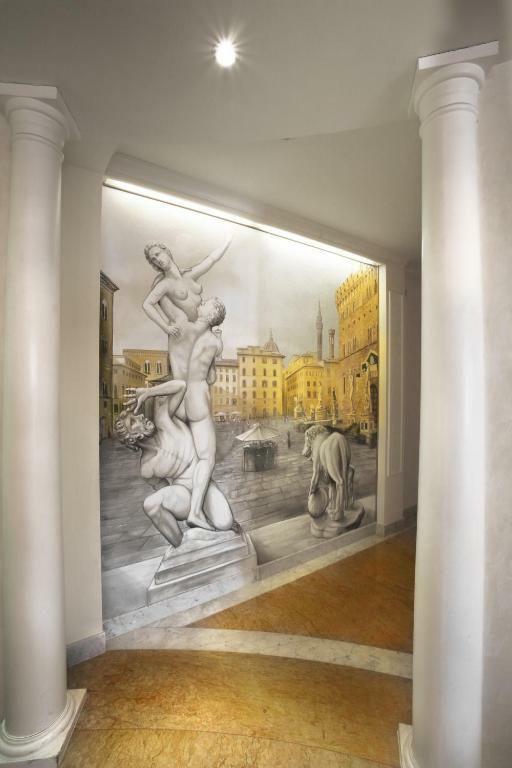 Villa Lucrezia is situated in Piazza Puccini, 10 minutes by bus/car from the city center of Florence (25 minutes walking). The bus stop is right on the corner of the Villa and it is the perfect solution to be tourists and visit the best places in Florence. The "Esselunga" Supermarket is 5 minutes walking from Villa Lucrezia. In Via Ponte alle Mosse, first right of the Villa, you can find many Restaurants and Pizza places where you can enjoy the local food. House Rules Villa Lucrezia takes special requests – add in the next step! ATM card Villa Lucrezia accepts these cards and reserves the right to temporarily hold an amount prior to arrival. Villa Lucrezia accepts these cards and reserves the right to temporarily hold an amount prior to arrival. Please note that, at times the WiFi connection can be slow. Please inform Villa Lucrezia of your expected arrival time in advance. You can use the Special Requests box when booking, or contact the property directly using the contact details in your confirmation. Room was nice and clean. The receptionist recommended us a restaurant that was excellent. Everything was good and we can recommend it. We walked about 30 minutes from the center. There wasn't much not to like but perhaps a shelf in the shower cubicle would be appreciated by guests. Also the pillows were a bit too high for us. 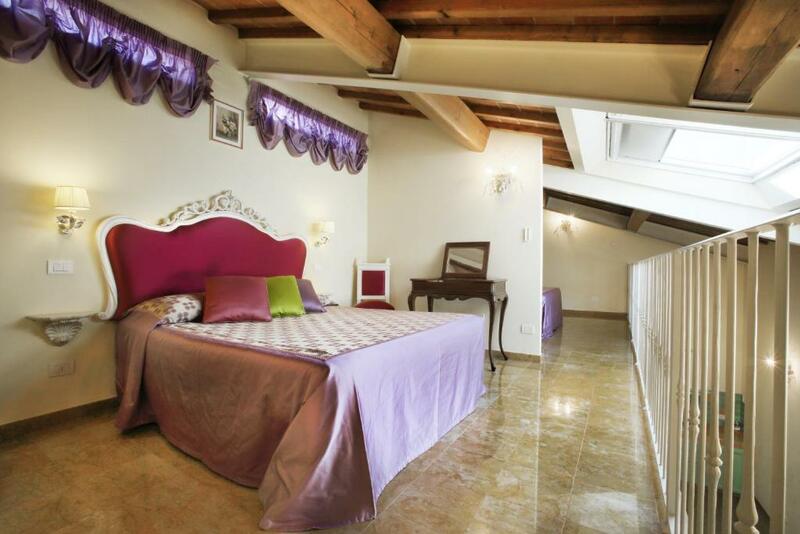 Our room at Villa Lucrezia was very spacious indeed with a well equipped kitchen and queen bed in the loft. The bathroom was also clean and roomy. The heating worked wonderfully well on a cold night or two. The bus stop to the main centre of Florence was just around the corner. First we were booked into an apartment with such low beams that one head to walk around it most of the time bended. After that we were given another apartment, with smaller kitchen and living room, but at least safe for our heads. The A/C was not very efficient The coffee maker didn't work. All needed was very close: Bus stop , tabacco kiosk, market! Inside you have cozy room with own kitchen and toilet/bathroom. Very -very good Coffee and little coffeemaker is free for you to use! hotel has elevator . You an ask for late self- checkin. From train station it will take you 20 min walking or 10 min bus . The bathroom was far from bedroom (downstairs) thus by night is was awkward to reach. Wifi was unreachable from bed. We loved Ivan. He was so helpfull and so friendly. Not much of interest around the property. Everything, especially great if you have a car. Flush did not work well, dirt floor, smoking smell in the bedroom. No washing machine. Get shower - water on the floor. Ivan is very positive guy! Great location! Near the bus station with a clean neighborhood. Hotel very comfortable with very helpful staff! I would come back to this hotel anytime.